“LESS EFFORT & LOWER COST” Smart series IP-based solution for solving your cabling problems! The EMC1600 is a 16-Bay chassis specifically designed to house and power selected EtherWAN Media Converters and Ethernet Extenders in a 19” rack enclosure. 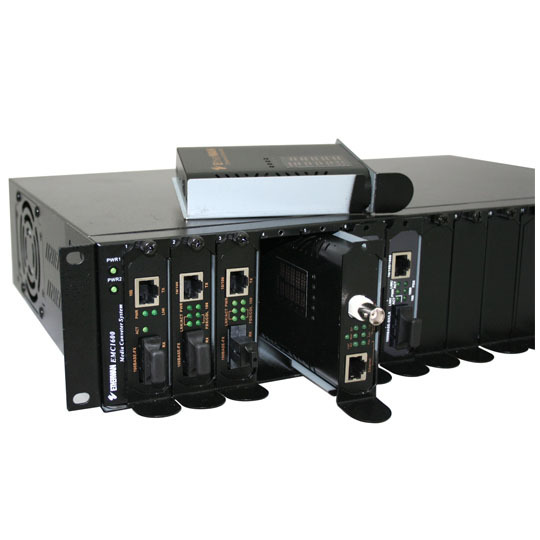 The hot swappable design enables easy installation, product additions, and deletions of EtherWAN Media Converters and Ethernet Extenders without interrupting existing communications within the chassis. Each bay is electrically isolated from each other with fused over-current protection resulting is unprecedented reliability. The redundant internal power supplies provide both power redundancy and load sharing. Support for both AC & DC power input options allows the EMC1600 to be used worldwide. 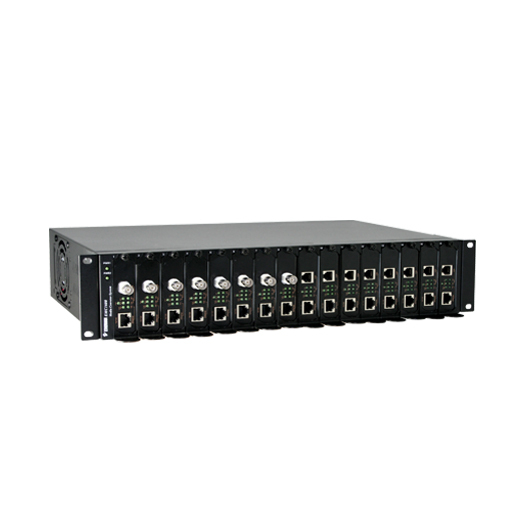 With its solid metal enclosure, standard 19” rack-mount and two-unit height design, the EMC1600 is ideal for interconnecting disparate network media and extending Ethernet beyond its boundaries.